I’m on a mission to add more fresh vegetables to our diet. I’ve been stuck in a salad rut. As in, I make the same salad over and over again. So I was super excited to find this recipe in the latest issue of Everyday Food. I’ve also been searching for ways to incorporate more herbs into my diet. Especially basil. I’ve been growing basil for a while and usually end up wasting it. I just don’t know how to use it beyond pesto, which is another reason this recipe caught my eye. The recipe in the magazine serves 8, but I cut it in half cause I like my salads fresh. 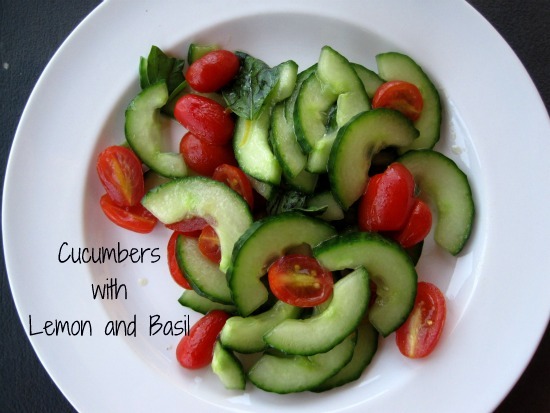 Toss cucumbers, tomatoes, olive oil, lemon zest and juice, and basil. Season with salt. Store covered and refrigerate up to 8 hours. 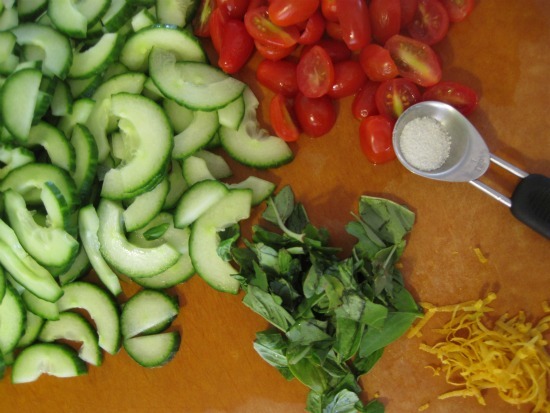 Eat this salad and you’ll be fresh like these colors… Inside and out.